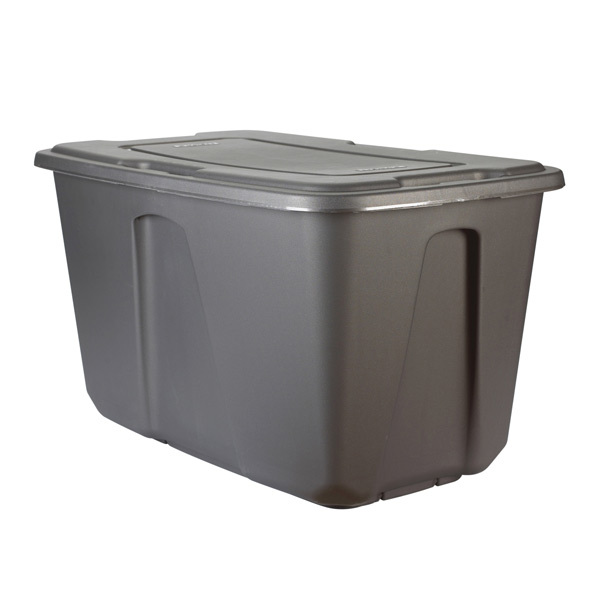 Large storage bins are designed to be reused and shared. Unfortunately, they are usually fabricated with proprietary plastic compounds made to last and they are not compatible with normal packaging. Reuse containers if you can. Donate, or dispose.